On December 21, 2009, the President signed into law the Airline Flight Crew Technical Corrections Act, Public Law 111-119 (the “TCA”), amending section 101(2) of the FMLA. The purpose of the TCA was to match the hours of service requirement in the FMLA more closely to the unusual schedules that flight crews follow thereby allowing more flight crew members to gain the benefit of FMLA coverage. Flight Attendants and other flight crew members are still subject to the FMLA’s other, sometimes complex, eligibility requirements. The goal of these Frequently Asked Questions (FAQs) is to set out, in a general way, FMLA requirements. FMLA requirements and procedures are established by the Department of Labor (DOL) through regulations and other forms of guidance. In these FAQs, we’ll refer to all these regulations and other forms of guidance, collectively, as “DOL Guidance”. Because we are describing FMLA requirements generally in these FAQs, not all the details and variations relevant to being approved for and using FMLA are set out here. If you have any questions about anything stated here, need clarification or more information, or wonder how what is described here relates to your particular situation, please follow up with your AFA EAP committee people, who often deal with FMLA questions and details, or your AFA leaders. If your local AFA contacts don’t have ready answers for you, they know with whom to follow up to get you the help you need. It’s important to know that, if you meet the eligibility requirements and satisfy the procedures set out in DOL Guidance, your federal FMLA rights are the minimum to which you are entitled. Your collective bargaining agreement (CBA) and/or state law may provide you with enhancements to your FMLA leave or provide you with greater rights or benefits. What eligibility criteria must I meet in order to qualify for FMLA? You must have been employed for at least 12 months or 52 weeks as of the date your leave commences. There are special rules for those Flight Attendants (FAs) who have had breaks in their employment service and who may not have 12 months or 52 weeks of consecutive service. Breaks in service do not necessarily mean you are not eligible for FMLA leave. 2) worked or been paid for not less than 504 hours. Note: The 504 hours does not including personal commute time or time spent on vacation, medical, or sick leave. I see that I have to have been paid for not less than 60 percent of my total monthly guarantee over the previous 12 months. Is this 60 percent a threshold that must be met each and every month? No. Your airline must consider the average total monthly guarantee over the previous 12 months. For example, if your minimum monthly guarantee is 75 hours and if you were available and paid for each full month in the previous 12-month period, 60 percent of your total paid and credited hours would be 540 hours (75 x 12 = 900 x .60 = 540). Remember, the minimum requirement of 504 hours cannot include any hours spent for personal commute, vacation, medical or sick leave. Are there any “paid hours” that will not be counted toward my eligibility for FMLA? Yes. Hours paid but not actually worked, such as vacation, medical, or sick leave, will not count towards the minimum hours needed for FMLA eligibility. I am on reserve and I haven’t flown 504 hours in the past 12 months. How will I ever become eligible for FMLA? The purpose of the TCA, which amended the FMLA, was to address the unique schedules of airline pilots and flight attendants. For purposes of determining FMLA eligibility, hours required for FMLA eligibility are paid hours. Therefore, if you are on reserve, the number of hours you are paid is what determines your eligibility, not the hours you fly. Your CBA contains a specific minimum number of hours for which you will be paid each month -- the monthly guarantee. Assuming you are available for the entire month, you will be paid the monthly guarantee. For example, if your minimum monthly guarantee is 70 hours but your company only scheduled you for 35 hours of flight time during that month, you will still be paid for 70 hours. This 70 hour figure is what will be used to determine your eligibility for FMLA. Remember that paid hours for vacation, medical, or sick leaves do not count toward the hours required for FMLA eligibility. I’ve been on active military duty for the last year. Now that I’ve returned from leave, I need to apply for FMLA. Since I didn’t work at my airline, I didn’t log 504 paid hours or meet 60 percent of my monthly guarantee, am I still eligible for FMLA? Yes, provided you are taking leave for an FMLA-qualifying event (described in Question 6, and were an active employee at your airline for 12 months or 52 weeks prior to your leave request. Under the Uniformed Services Employment and Reemployment Act (USERRA), your airline must give you credit for the hours of service that you would have worked as a FA had you not been called up for military service towards your FMLA eligibility. These credited months and hours that you would have worked or for which you would have been paid as a FA but for your military duty must be combined with any months and hours actually worked at your airline, for purposes of determining your eligibility for FMLA. For what reasons may I take FMLA? To treat or recover from a serious and/or chronic health condition that renders you unable to perform your job. For childbirth or to care for a newborn child up to age one. For the placement of a child with you for adoption or foster care. For any qualifying emergency++ arising out of the fact that your spouse, son, daughter, or parent is on active military duty, or has been notified of an impending call to active duty in the US military, including the Reserves or National Guard, or has been notified of a forthcoming call to duty. To provide care for a child, spouse, parent, or next of kin who suffers a serious injury or illness while serving in the U.S. military. + Federal law does not currently include a Domestic Partner as an eligible family member. ++ Qualifying exigencies for which an employee may take FMLA leave include (1) short notice deployment, (2) military events and related activities, (3) childcare and school activities, (4) financial and legal arrangements, (5) counseling, (6) rest and recuperation, (7) post-deployment activities, and (8) additional activities agreed to by employer and employee. What constitutes a “serious health condition”? Inpatient hospital care (i.e., an overnight stay at a hospital or similar facility). An injury, illness, or other condition lasting more than three consecutive days that involves continuing treatment by a health care provider. A chronic serious health condition (i.e. asthma, diabetes, epilepsy). A long-term or permanently disabling health condition (i.e. Alzheimer’s, stroke, cancer). A condition requiring multiple treatments to prevent a period of incapacity of more than three consecutive calendar days (i.e. chemotherapy, physical therapy, dialysis). How much leave time am I entitled to under the FMLA? Block Leave – As a FA, you are entitled to 72 days of leave during any 12-month period for FMLA-qualifying reasons (See Question 6) other than “military caregiver leave” (which is 156 days of leave during a single 12-month period for military caregiver leave). The 72-day entitlement is based on a uniform six-day work week for all airline flight crew employees regardless of time actually worked or paid, multiplied by the statutory 12 work week entitlement for FMLA leave. For example, if you took six weeks of leave for an FMLA-qualifying reason, you would use 36 days (6 days x 6 weeks) of your 72-day entitlement regardless of your actual schedule. Check your CBA, with your AFA leaders or your airline management -- at some airlines the amount of FMLA leave available to flight attendants is greater than the FMLA Flight Crew minimum. Intermittent Leave – When you take FMLA leave on an intermittent or reduced schedule basis, your airline must account for the leave using an increment of no greater than one day. The entire amount of leave actually taken is designated as FMLA leave and counts against your FMLA entitlement. For example, if you take FMLA leave for a two-hour physical therapy session, your airline may require you to remain off work the entire day and use a full day of FMLA leave. Check with your airline management to determine what methodology it uses to determine the number of days charged to your FMLA entitlement when you take intermittent FMLA leave. Can I take FMLA for substance abuse? Treatment for substance abuse (now often referred to as substance use disorder) may qualify as a serious health condition for purposes of FMLA if the conditions set forth in DOL Guidance are met. One such condition is that the treatment for substance use disorder must be provided by a “health care provider” or by a “provider of health care services” to whom you have been referred by a health care provider. While treatment may qualify, absence because of your use of the substance, rather than for treatment, does not qualify for FMLA leave. 29 CFR § 825.119(a). Now that I know how many days of FMLA I’m entitled to during a year, how is that year measured? Is it January to December or is some other method used to measure a year? 1) The calendar year (January 1st to December 31st). 3) A 12-month period counted forward from the date the leave commences. 4) A rolling 12-month period counted backward from each date FMLA is used. How much notice do I have to provide my airline management before taking FMLA leave? When the need for leave is foreseeable, such as for a scheduled operation, an expected birth or placement for adoption, you must provide at least 30 days’ notice prior to the commencement of the leave. If 30 days’ notice is not possible, you are required to provide notice “as soon as practicable.” DOL Guidance clarifies that it should be practicable for an employee to provide notice of the need for leave that is foreseeable either the same day or the next business day. In all cases, however, the determination of when an employee practicably could provide notice must take into account the individual facts and circumstances of each case. When the need for leave is unforeseeable, as in the case of a sudden and unexpected accident or illness, you are required to provide notice as soon as practicable based on the unique facts and circumstances surrounding your individual case. Does the DOL require that employers provide FMLA information to employees? Employers must post a general notice explaining the FMLA's provisions and providing information regarding procedures for filing a claim under the Act in a conspicuous place where it can be seen by employees and prospective FMLA leave applicants. Under DOL Guidance, this posted notice must include additional information regarding the definition of a serious health condition, the new military family leave entitlements, and employer and employee responsibilities under FMLA. Employers must also include the information required to be in this general notice in any employee handbook or other written policies or manuals describing employee benefits and leave provisions. Additionally, DOL Guidance requires that an employer without a handbook or written guidance must provide this general notice to new employees upon hiring. What happens if my airline does not post this required FMLA notice? An employer that willfully fails to post the required FMLA notice may be assessed a civil monetary penalty. How soon after I provide notice of the need for leave must my airline tell me whether or not I’m eligible for FMLA leave? Absent extenuating circumstances, DOL Guidance requires your airline to notify you that you are eligible to take FMLA leave (or, if you are not eligible, your airline must tell you at least one reason why you are not eligible) within five business days of your leave request or when your airline learned that your leave may be for a FMLA-qualifying reason. Note: this requirement applies to eligibility determinations only, not notice of actual designation of FMLA leave. My airline provided me notice I was eligible for FMLA but they have not yet approved my leave. How long do I have to wait until I can find out if my leave has been designated as FMLA? Most airlines will have a specific certification form (or forms) you will be required to complete in consultation with your treating physician. The purpose of the form is to determine eligibility and the probable duration of the leave. Do I have to use the airline-specific form my airline provided? It is very confusing and, the first time I applied, my leave request was denied and the reason given was that the form wasn’t completed properly. Now that I have completed my certification forms, where do I send them? Each airline will have its own specific instructions for remitting FMLA forms. Some airlines process the forms in-house while others may contract this work out to third party administrators (TPAs). You should not be required to remit certification forms containing your private health information to any direct supervisor and mailing certification forms is not recommended. There are specified timelines within which your forms must be received. If your forms are delayed for any reason and are received outside the specified timeline, your request for leave could be denied. The safest method is to pick up the completed certification form from your health care provider and either deliver it personally or fax it so you have a time/date stamp. My airline (or its TPA) denied my request for FMLA because they said my condition/illness does not qualify. Can they do this? Under DOL Guidance, an employer may not categorically deny a request for FMLA because it thinks your condition does not qualify. Under the law, it is assumed that your condition does qualify because your physician has certified that it does when he/she completed the required application forms. However, if your airline has a legitimate basis to doubt the accuracy of the certification, it may require that you be examined by a second health care provider at its expense. Your airline may choose the second health care provider, but that provider may not be under contract with the airline or have any regular business dealings with it. If the second opinion conflicts with your health care provider's, you may be required to have an examination by a third health care provider, again at your airline’s expense. This third provider must be chosen jointly by you and your airline. If the third health care provider says that you are able to do your job, or denies that your condition is serious or chronic, your airline can deny the leave or, if absences already have occurred, take disciplinary action. Your airline may not deny a completed medical certification if it does not utilize the second and third opinion procedure. If your airline violates this rule, you should notify your Local AFA leadership immediately and a complaint with the Department of Labor should be filed. You can file the DOL Complaint as an individual or your AFA leadership can file for you. It is imperative that you report all issues and problems with FMLA at your airline to AFA as soon as it occurs. Note: It is critical that your application be filled out correctly by your health care provider. The reason for FMLA leave denial is often because the health care provider has not indicated that the condition is serious or chronic on the initial FMLA application. Can my airline require me to recertify my leave? Your airline must wait for the minimum duration outlined in the medical certification to expire before requesting a recertification. Your airline receives information that casts doubt on your absence. There is a significant change in your condition such as surgery, the development of complications, or a greater number of absences than predicted in the original certification. Additionally, your airline may request a new medical certification each FMLA leave year for medical conditions that last longer than one year. Such new medical certifications are subject to the second and third opinion procedures described in Question 19, above. Do I have to give my airline my medical records for leave approval due to a serious health condition? No. You do not have to give your airline your medical records. Your airline, however, does have a legal right to request that you provide medical certification containing sufficient medical facts to establish that a serious health condition exists. What if I do not want my airline to know about my medical condition? If your airline requests it, you are required to provide a complete and sufficient medical certification in order to take FMLA-protected leave due to a serious or chronic health condition. What happens if my airline says my medical certification is incomplete or requires additional information? Your airline must advise you if it determines that your certification is incomplete or requires additional information and must allow you a reasonable opportunity to cure the deficiency. Your airline must state in writing what additional information is needed in order for it to make a determination. You are guaranteed at least seven calendar days to cure the deficiency, unless seven days is not practicable under the particular circumstances despite your diligent good faith efforts. If I am taking FMLA leave for myself am I required to use all of my “available sick and vacation time” prior to taking any of the time off as unpaid? 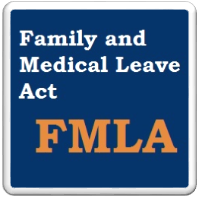 The FMLA does allow you to a limited right to use accrued paid leave. This right may be undermined, however, by a provision allowing employers to require an employee to use paid leave even when the employee would prefer to save it for a later use. In some cases you cannot be made to use vacation time for which you bid before taking FMLA leave. You should ask your AFA leaders determine what, if any, contractual provisions or grievance arbitration decisions apply to the use of substituting paid leave for unpaid leave. Some CBAs grant the FA the discretion to choose whether or not to substitute paid time such as vacation or sick leave for unpaid leave. I am taking FMLA leave to care for an eligible family member. Can I choose to use my “available paid sick time” so that some of the leave will be paid time off? Maybe. You should ask your AFA leaders to determine what rights are provided you under your CBA. Also, some airline attendance polices do not permit the use of sick leave for anyone other than the FA. And, some state laws, such as California and Washington, allow employees to use paid sick time to care for an eligible family member. I have been certified for FMLA because I have arthritis in my knee. I have now incurred an on-the-job injury to my shoulder. I received a letter advising me that my airline was counting my time off work for my shoulder concurrently with my FMLA leave for my knee. Can they do this even though I never asked for FMLA or filled out any paperwork for FMLA related to my shoulder? Yes, unless your CBA provides otherwise, DOL Guidance permits an employer to run the leaves concurrently even though they are not related. Your airline can designate the Injury on Duty leave as FMLA even if you object. Note, however, that in this case you may be able to collect worker’s compensation, depending on the state, and in this narrow circumstance your airline cannot require you to substitute paid vacation, personal, medical, or sick leave, unless otherwise provided in the CBA. And, your airline cannot then recover health insurance premiums if you don’t return to work. Can my airline force me to perform “light duty” while on FMLA? Disciplines you for declining an offer of modified or light-duty work. If you elect to undertake light duty, then those work hours don’t count against your FMLA leave entitlement. Can I file a grievance over FMLA violations? Although you are entitled to contact DOL directly whether to report a suspected violation, file a complaint, or just get advice, it is very important that you notify your AFA leadership about any problem or complaint you have about FMLA so your experience can be added to other AFA members’ and a record of all violations, problems, issues, and concerns is kept. Can my airline fire me for complaining about a violation of FMLA? No. Nor can your airline take any other adverse employment action against you for exercising your rights under the FMLA. It is unlawful for any employer to discharge or otherwise discriminate against an employee for opposing a practice made unlawful under FMLA.